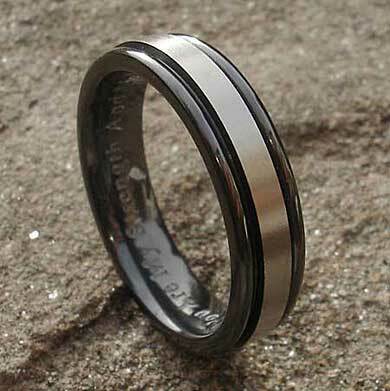 Two Tone Wedding Ring For Men : LOVE2HAVE in the UK! 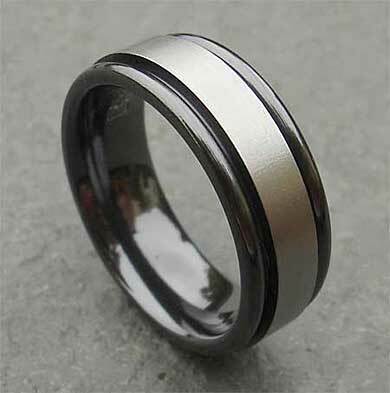 This men's wedding ring is an excellent example of the relieving effect created from heat treated zirconium. 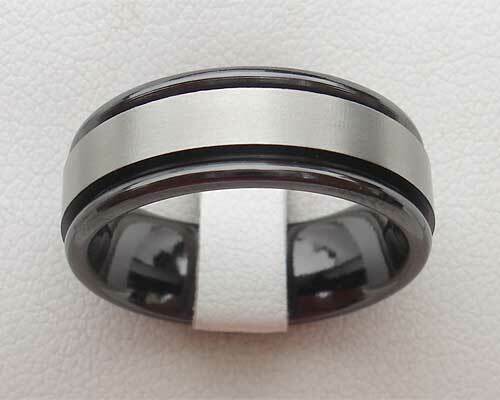 The black coating is removed with specialist tooling to reveal the natural grey zirconium under its surface for the twin finish style produced as the ring has a natural coloured centre and black outer rails. The circular edge rails have been left black to give this ring even more of a two-tone contrast as the rails will catch the light. An exciting but straightforward engineers design trick. 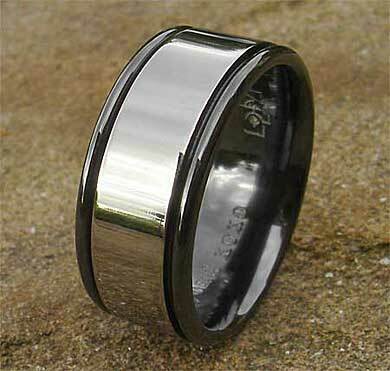 These rings are fast becoming one of our most popular ring choices of wedding rings for men. It ranges in widths from 5mm to 12mm, and like all our rings Z plus sizes are available too.